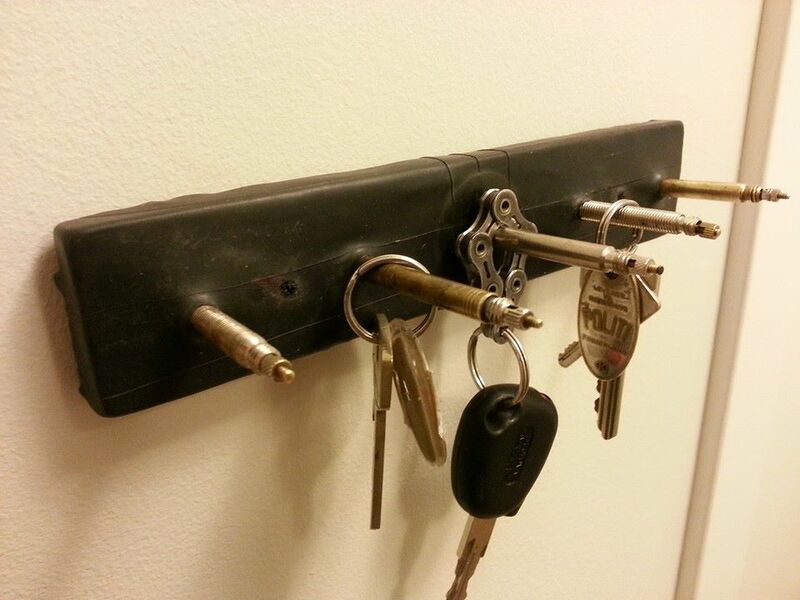 theBIKE.ca: Tip Thursdays - Make a key rack cyclist style! Tip Thursdays - Make a key rack cyclist style! Take a piece of wood and pre-drill some valve stem sized holes into it. Then slip the board into a section of inner tube (from a mountain bike will be easier...) Then work the valves through the tube and into the pre-drilled holes. Also got to love the chain key chain.